When you think of beer, what do your taste buds do? If you drink to get drunk, you may be a corporate beer drinker. If you drink to enjoy both the flavor and aroma of malts and hops, you may be a craft beer consumer — and maybe someday a craft beer connoisseur! At Oasis Brewing Company in Denver, we don’t think there’s anything wrong with enjoying the best beer brands, domestic or imported, but if you want to really give your taste buds and olfactory (your nose) a ride, try a craft beer from your local brewery in the Highlands. What’s the difference between craft and corporate beer? If you ask someone who is a craft beer connoisseur, you’ll probably get a detailed list regarding temperature, ingredients, the brewing process, and much more. At Oasis, we want to invite those who may not understand the difference between the heavily marketed beers on television and the beers you can only find in Denver. You have large corporations like Anheuser-Busch, InBev, and South African Breweries that brew beer in massive quantities for the public. They then market the beer on television, billboards, and other mainstream channels to get the word out that they’re selling beer. Local breweries create craft beer to discover and offer a unique taste and experience. Typically, the brewmaster focuses on one beer, making smaller batches, and shares it with the locals. Although bigger corporations may have started brewing for the love of the beer, local breweries continue brewing for the love of the craft. What’s the difference in taste? What’s the difference in temperature? Beer is served at chilled temperatures. Those who serve corporate beer tout the fact that the liquid is kept at an ice-cold temperature to improve taste. In most cases, the cold temperature masks the actual flavor of the beer. Craft beer temperatures vary based on the type, color, and consumer. IPAs and most light-colored beers are usually kept cold to keep the flavors balanced. If you like a porter or comparable dark beers, they can be drunk at a warmer temperature. The focus for perfecting craft beers is finding the best flavor at the right temperature. What’s the difference in ingredients? The four main ingredients found in almost all beers are grain, hops, yeast, and water. The goals of corporate beer brewers and craft beer brewers are typically different. Most corporate beer companies are looking for ways to reduce costs to create a larger profit margin. Craft brewers focus first on creating a unique taste and aroma with each and every one of their beers. 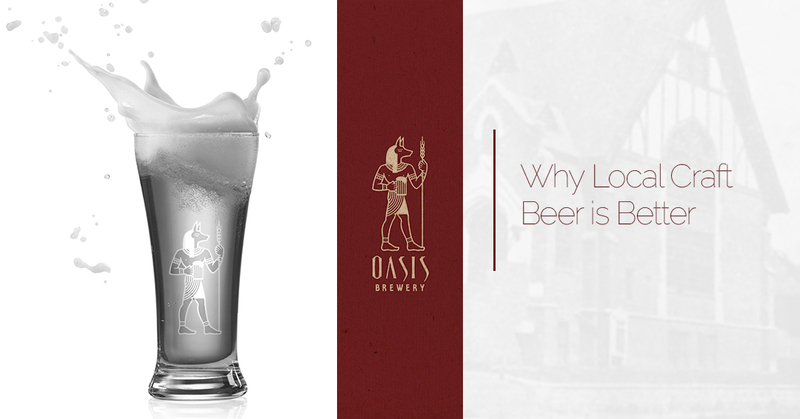 Oasis Brewing Company has been around since 1991 and is respected as one of Colorado’s original microbreweries. We’ve won multiple awards for our craft beers, and we’re proud to share them with the world. 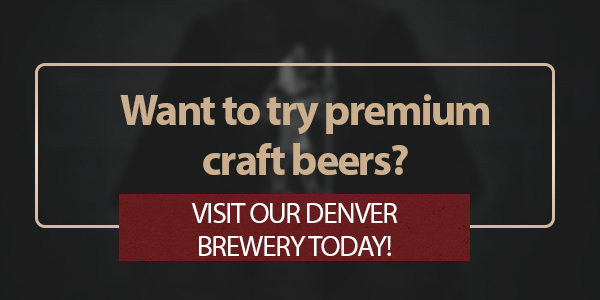 Whether you’re a local looking for a new microbrewery to try or you’re visiting Denver for the first time, we’d love to see you! Our selection of beer is sure to satisfy any combination of taste buds. ©2017 Oasis Brewing Co, Inc. Do not copy. All rights reserved.